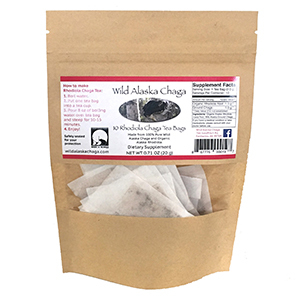 Our rhodiola chaga tea recipe is printed on the label (pictured below), but for more information check out our instructional video: How to Make Chaga Tea. Our tea bags are packaged in a resealable storage bag to maintain freshness. Sugar or honey can be added to taste although we recommend enjoying them plain. Delivered fast via USPS Priority Mail. 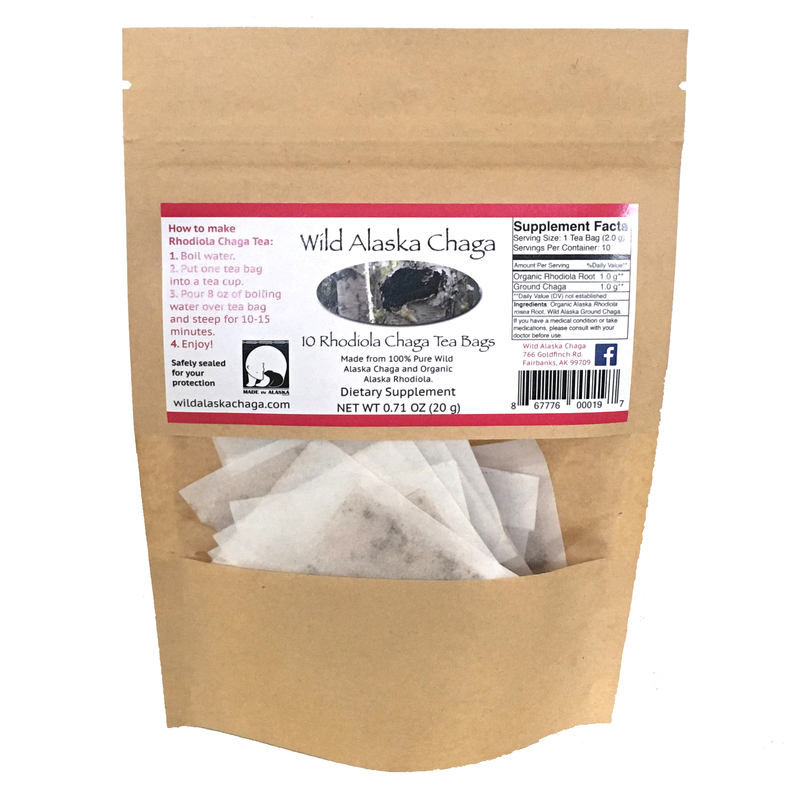 Start enjoying your rhodiola chaga tea today!